Last summer I became curious about dehydrating. It started off with wondering why anyone would want to be a raw vegan (I still don’t get it – it’s a good idea to eat a lot of raw food, but why deprive yourself of so much good, hot food? I have not found ANY evidence that cooking food makes it toxic), and lead me down a trail of looking at raw vegan recipes. 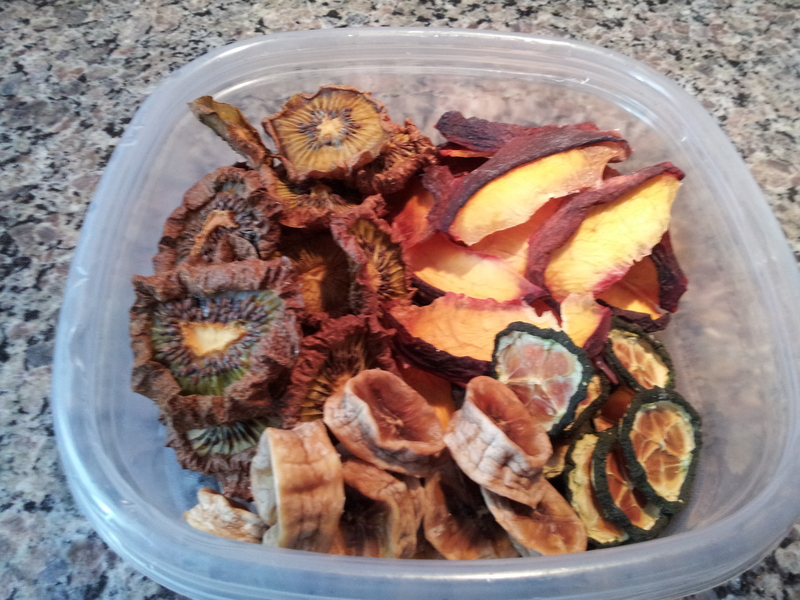 From these, I discovered that a dehydrator is a useful tool in making a lot of cool dishes. Plus, I have never been able to find very much dried fruit that doesn’t have “may contain peanuts” stamped across it. 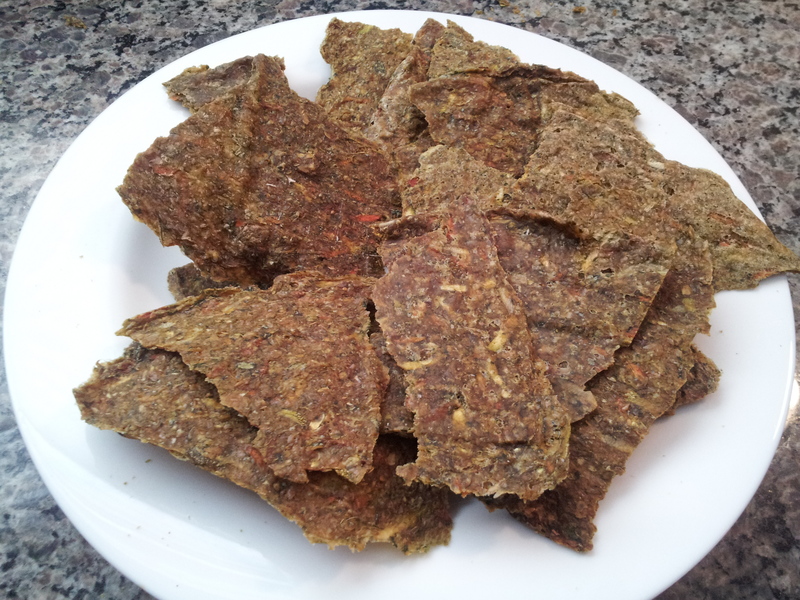 So, a curiosity of raw vegan-ism lead to a curiosity about dehydrating food. Finally, after months of thinking about it, I bought a dehydrator and a raw vegan cookbook, and started off by drying bananas, kiwi, peaches, and cucumber. 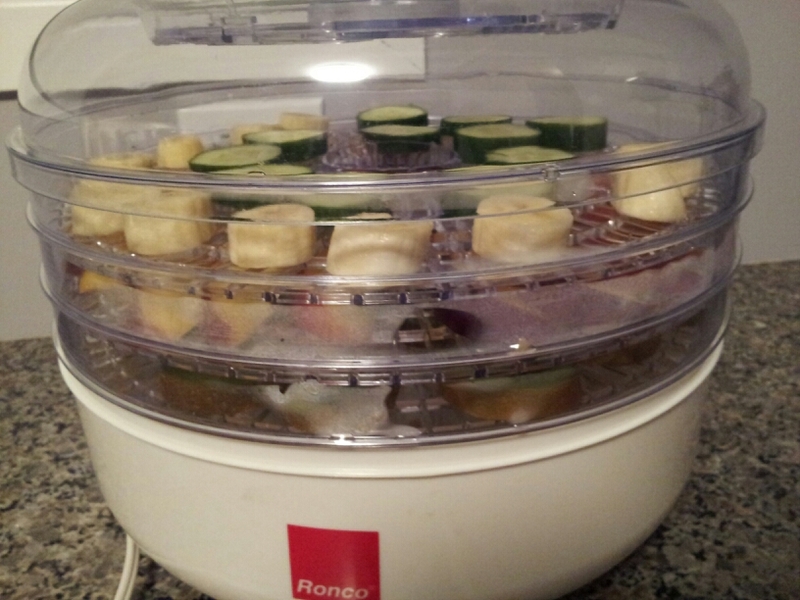 The bananas were definitely my favorite, and I plan on dehydrating dozens more. In my last post I briefly mentioned Vegucated, a documentary that promotes veganism by explaining why it is important to eat this way. It turns out that more CO2 is expelled because of the meat industry than from all the cars on the road, on top of the fact that there are no regulations on how to treat animals, meaning most animals are treated horrendously from birth until death. This must-see film only inspired me more to try out vegan recipes, and I started with a Veggie Cracker recipe, found in The Complete Book of Raw Food, 2nd edition, edited by Julie Rodwell. In a blender I puréed the onion, garlic, spinach, cilantro, salt, and lemon juice. 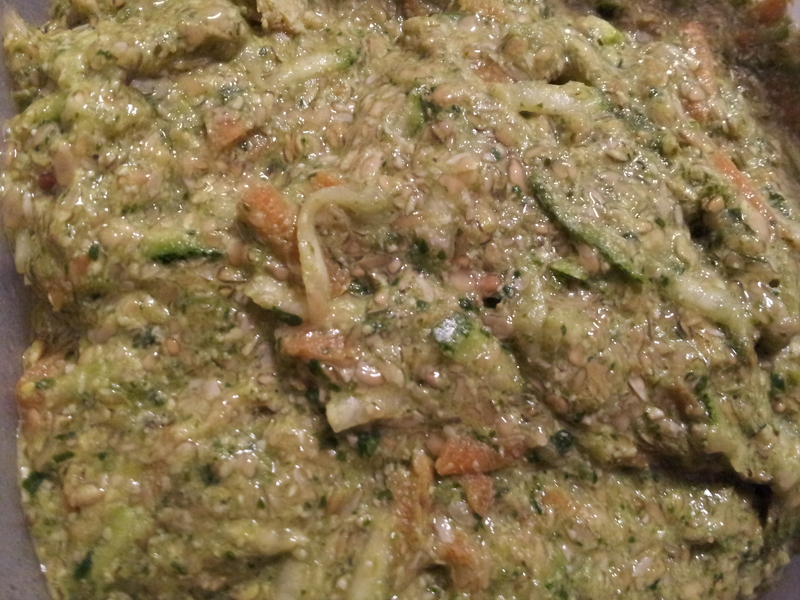 I added it to the shredded zucchini and carrot, then added the flax seeds, and an additional cup of water. I mixed the dough well to make sure everything was well incorporated. I spread the dough evenly on my dehydrating racks, which were covered in parchment paper, making sure the dough was not too thick. I dehydrated the crackers 8 hours, then flipped them and continued to dehydrate for another 8 hours, and I rotated the racks every few hours to ensure even drying. The crackers are good, but maybe a little bit of an acquired taste. I am tempted to make a cream cheese dip for them, but that kind of defeats the vegan thing… I plan on experimenting with some of the other cracker recipes in the cookbook to figure out which ones I like best.